Unless you've been living under a rock in recent weeks, you may have heard about some soccer thing that's happening soon (football, to those of us this side of the Atlantic). The 2018 FIFA World Cup is almost upon us, and Google has some tricks up its sleeve to assist fans around the globe. As the tournament kicks off with Russia vs Saudi Arabia next Thursday, new features in the Google app will help you keep up with all the action. Other Google products will also be on hand to improve the experience, including Assistant, News, Trends, and Maps. As the shopping season closes in, it's important to be running the latest versions of any apps that do run financial transactions. Android Pay just got a new update to version 1.35 and it looks a little more involved than performance enhancements. Among the live features, you can now long-press most text fields and barcodes to copy the contents into your clipboard. A teardown also shows that Android Pay may soon have notification channels, support for transit cards, and a new promotional game that puts you on a quest for Doodles. 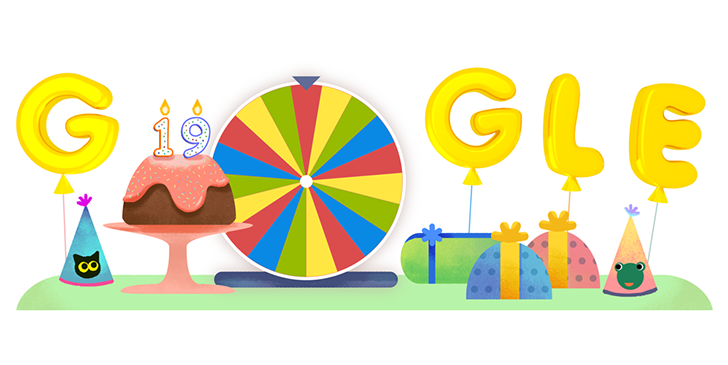 Although the Google.com domain name was registered on September 15, 1997 and it technically celebrated its 20th birthday a couple of weeks ago, Google likes to celebrate its birthday closer to when the company officially launched. And for the past years, it's sort of chosen September 27 as its birthday. You may notice that today is actually September 28, but we were overwhelmed with plenty of news yesterday and had to miss the birthday party. I'm sure Google doesn't mind. After all, it's old enough now to go celebrate with its buddies and leave us all alone with its freshly baked favorite cake and memories of when it was young and would beg us to help it blow the candles.